New picture SIA Grand Champion HARLINDA! 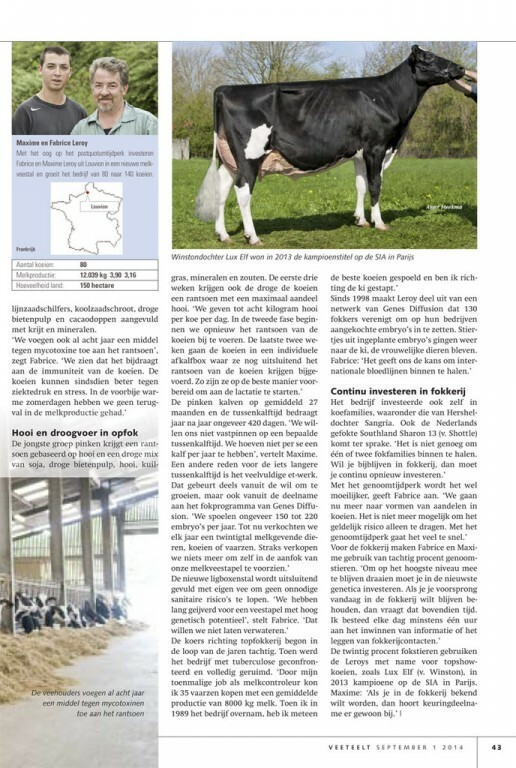 BUITENEIND JK EDER SILLY 2-ET GP-FR VG-85-MS 2yr. 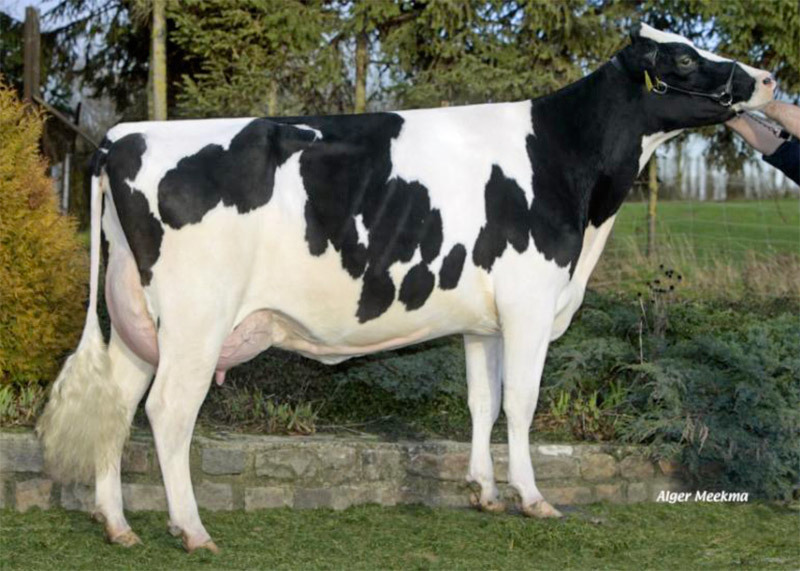 LL Jora GP-84-FR VG-86-MS 2yr. RED from Snow-N Denises Dellia! Southland Sharon 13 VG-88-FR 2yr. 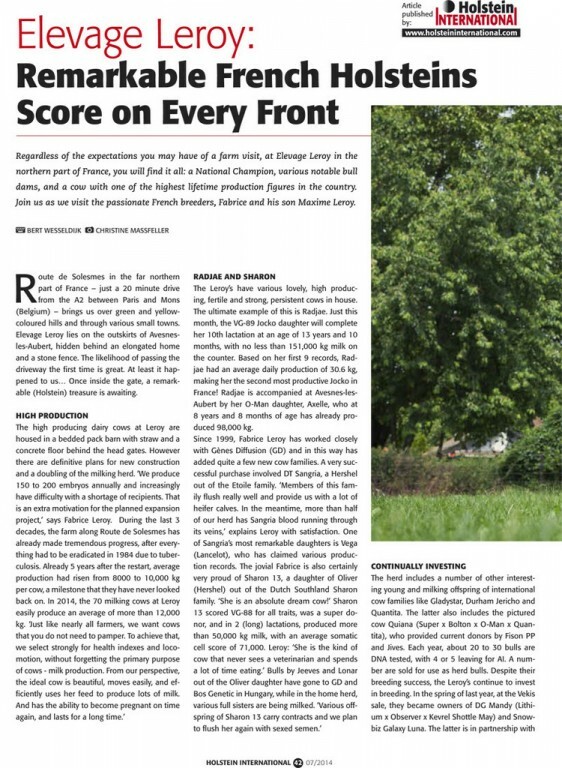 Welcome to the website of Elevage Leroy, located in the North of France, Avesnes-les-Aubert where you will find it all: a National Champion, various bull dams and cows with high lifetime productions. 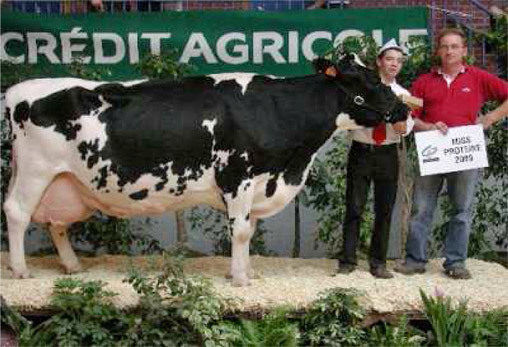 In 2013 a dream came true for Elevage Leroy with winning Grand Champion at the SIA, Paris with Lux Elf, a Winston dtr x Rudolph. The Leroy family are flushing about 150 - 200 embryo / year. Current sires that are used at this moment are: Hearoman, Hitorian, Hab RC-P, Islander, Pepper, Anton, Megasire, Supershot, Kingboy, Coammander and various other DNA sires. Just like nearly all farmers, the Leroy family want cows that do not need to be pampered. 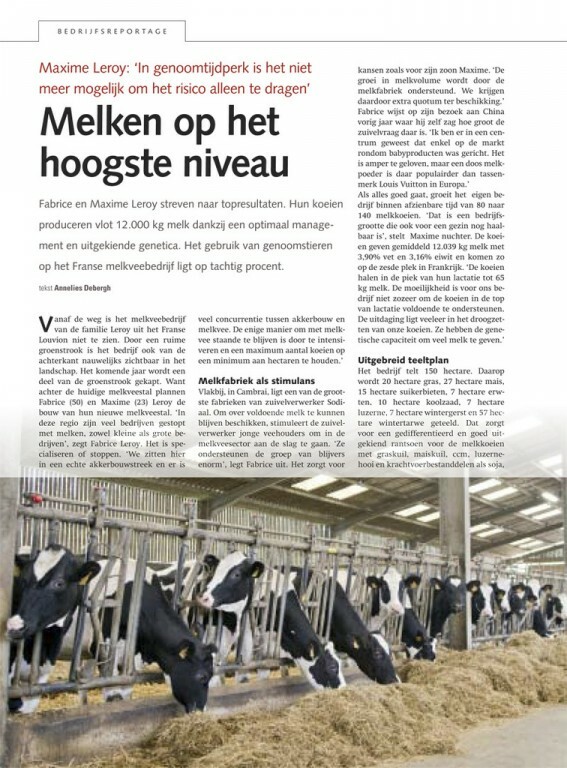 To achieve that, the selection for health indexes and locomotion is very important, without forgetting the primary purpose fo cows - milk production. 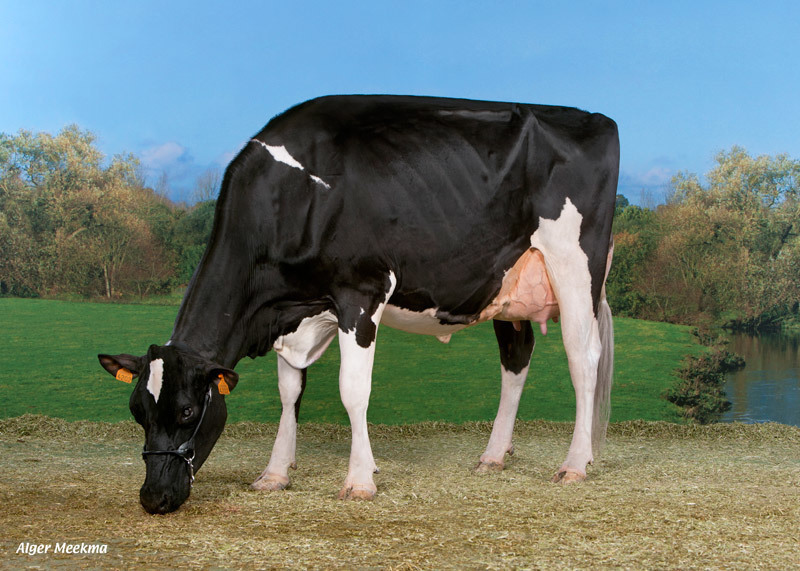 The "ideal" cow for us is a beautiful cow, moves easily, efficiently uses her feed to produce lot of milk and has the ability to become pregnant on time again. 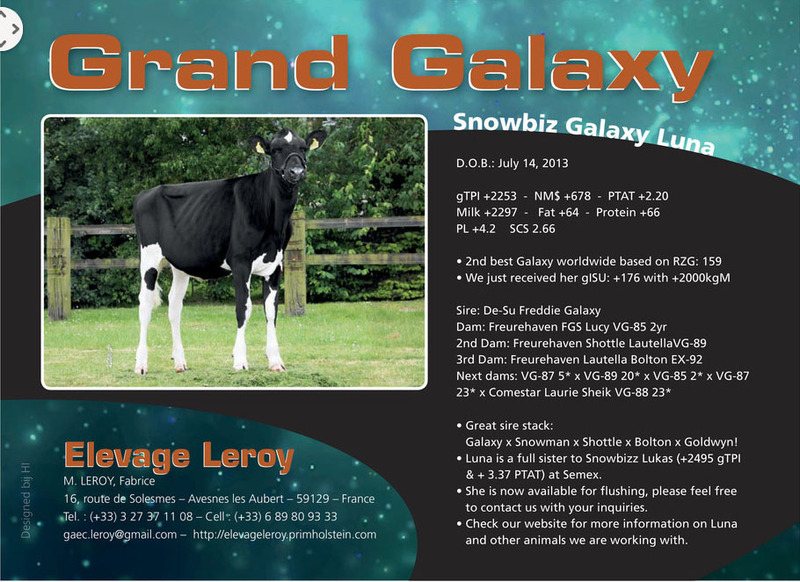 Radjae VG-89-FR - One of the best cows of the Leroy herd. - 10 lactations: 151.000kgM on the age of 13 years.